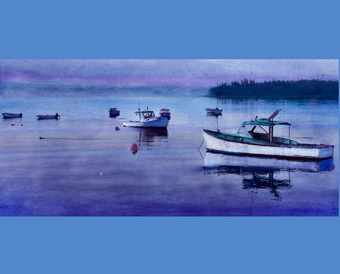 Lobster boats and loons are a standard part of the coastal landscape throughout the Penobscot Bay in mid-coast Maine. Almost every harbor has a distinctive group of lobstermen who ply the waters. They are very territorial and viciously guard against intruders from other harbors.